OTTAWA - Canada's chief electoral officer has provided fuel to opposition claims that new election rules being proposed by the Harper government are designed to tilt the field in the Conservative party's favour. The massive rewrite of the Canada Elections Act will increase party spending and decrease voting among some groups, all the while failing to provide the investigative powers needed to get to the bottom of election fraud, Marc Mayrand told a House of Commons committee Thursday. "By increasing those spending limits and, most significantly, creating an exception for certain fundraising expenses, Bill C-23 may well compromise that level playing field." 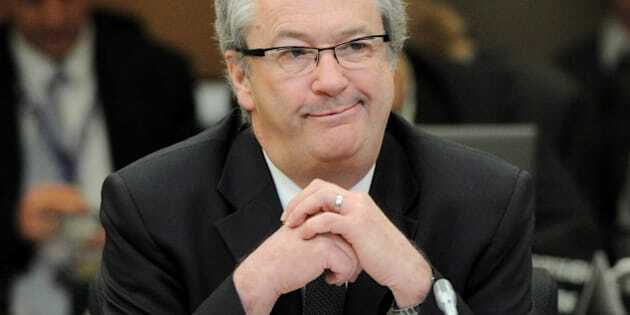 Mayrand has had a fractious relationship with the governing party ever since he was appointed to his post in 2007 by Prime Minister Stephen Harper. It took five years and dozens of spirited denials in the House of Commons before the Conservative party finally pleaded guilty in 2011 to significant overspending in the 2006 campaign — a plea deal that Conservative MP Pierre Poilievre celebrated as a victory. Poilievre also frequently rose in the House to defend the government in the ongoing investigation into fraudulent robocalls during the 2011 campaign. Poilievre, now the minister responsible for democratic reform, is questioning Mayrand again, dismissing his criticism and declaring him wrong about many of the provisions in the sweeping bill. — By ending the practice of "vouching," the bill would disenfranchise tens of thousands of voters who are unable to provide identification with an address, mostly students, the elderly, natives and the poor. — The bill would muzzle both Mayrand and the elections commissioner, who investigates violations and enforces the Canada Elections Act. "I'm concerned that during an election we could not issue a press release alerting electors to certain practices that may happen that they should be aware of," said Mayrand, who pointed to events in the 2011 election as an example. — The bill fails to give investigators the power to demand receipts from parties, who got $33 million in public rebates after the last election without providing documented evidence of expenses. "It is striking when looking at provincial regimes that we remain the only jurisdiction in Canada where political parties are not required to produce supporting documentation for their reported expenses," Mayrand said. — The bill creates some new offences and increases penalties, but fails to give elections investigators the powers they need to compel testimony or evidence. "It's all well and good to have penalties and offences, but if the commissioner doesn't have the tools to shed light on the truth, then it's all in vain," he told the committee. Mayrand did not specifically say which party would benefit most from the changes, but New Democrats, Liberals and the Bloc Quebecois all say they're of the most advantage to the party with the deepest pockets — in this case, the Conservatives. One particularly problematic provision in the bill is a measure that allows parties to remove from their campaign expenses any money spent soliciting donations from supporters who've contributed at least $20 over the previous five years. "For anybody who has ever seen one, there is no practical way of distinguishing a fundraiser mail-out from advertising and it takes little imagination to understand that other partisan communications can be dressed up as fundraisers," Mayrand warned. Later in the Commons, NDP Leader Tom Mulcair pounced on Mayrand's testimony to charge: "The only reason (the Conservatives) are doing this is to stack the deck for the next election." Poilievre responded that Mayrand "is wrong on this point, as well as on other points." He said the bill provides many layers of protection against illegal campaign spending, including requiring external audits of party books. Conservatives on the committee, led by Tom Lukiwski, the parliamentary secretary to Poilievre, hammered away at the potential for voter fraud under a vouching system that has been found to have tens of thousands of reporting errors. "Clearly, where vouching takes place, perhaps the majority is above board but the potential for fraud is there," Lukiwski said. "The only true way to get rid of the potential for fraud under those cases is for proper identification to be provided at the polling station by the individual." An estimated 120,000 voters relied on vouching in the 2011 election. In justifying the elimination of vouching, Poilievre has pointed to a report commissioned by Elections Canada which found 50,000 procedural irregularities. Given the wide scope of the election act reforms and the chronicled history of financing jiggery-pokery and robocalls abuse, NDP MP Alexandrine Latendresse questioned the Conservative attention to vouching. "I find it very strange that my colleagues across the table are talking about potential (fraud) when we have real fraud cases that need to be investigated," she said. Mayrand also questioned the Conservative preoccupation, telling Lukiwski, "It is essential to understand that the main challenge for our electoral democracy is not voter fraud but voter participation." The chief electoral officer also had a stern message for a majority government that appears intent on ramming through the changes without getting all the players in the political system on board. "It's a well-known international standard that if you want to be successful in ensuring the integrity and legitimacy of your institution, that you should seek the broadest consensus possible," said Mayrand, drawing a cheer from the opposition MPs on the committee.